A good night’s sleep is the best treat your body can ask for. From balancing blood sugar, reducing the risk of heart disease, supporting a healthy weight, reducing inflammation, boosting the immune system, increasing energy and concentration, to reducing anxiety, the benefits of good sleep are endless. There are several factors that can however affect sleep such as stress, hormonal changes, diet, and inflammation to name a few. In fact, 30% of the general population suffers from insomnia. Inflammation in the body can disturb your sleep by increasing the expression of certain inflammation molecules known as cytokines IL-1, IL-6 and TNF. These can activate your stress response and also disrupt your circadian rhythm (your sleep/wake cycle), both of which have an impact on sleep pattern. 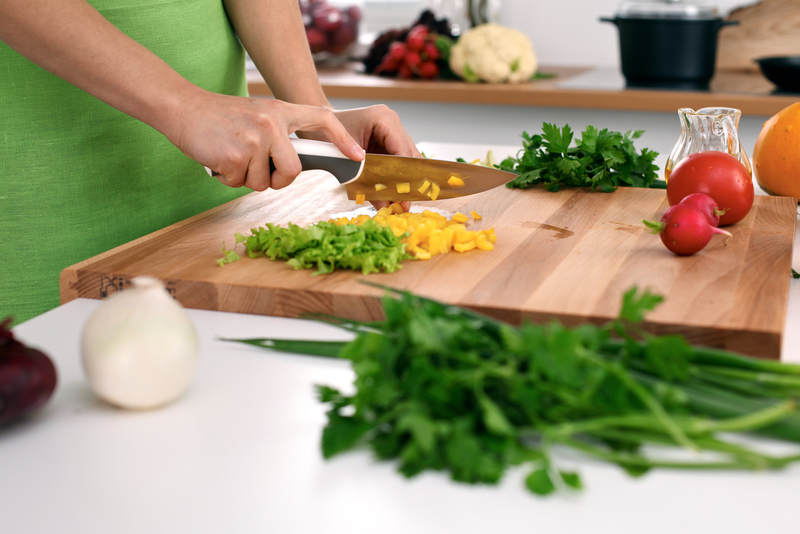 Two major triggers of inflammation are diet and stress. An anti-inflammatory diet with plenty of Omega-3 including oily fish, whole grains, antioxidant-rich foods, fresh herbs, and a variety of fresh vegetables is key. Also, avoid refined carbohydrates and sugars, excessive intake of red meat, dairy, and processed foods. Finally, it is important to be aware that issues can arise as a result of excessive and repetitive intake of foods (e.g. dairy, gluten, nickel-containing foods) leading to food-related inflammation, therefore having a varied and balanced diet is key. You can now test your food-related inflammation with the “Marion Gluck Clinic – Food Inflammation Test” – book an appointment now. 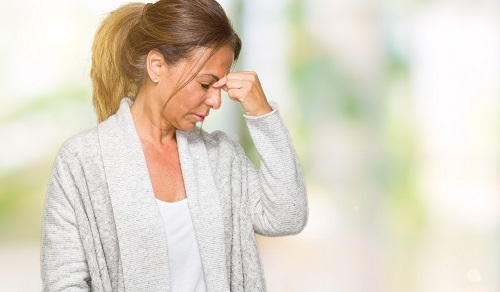 If you are experiencing, or have experienced prolonged periods of stress in the past, it may be recommended to get your daily cortisol pattern checked (a qualified medical professional or naturopath can help you with that). A disrupted cortisol pattern can affect your energy levels as well as sleep. If this is the case, a class of herbs known as adaptogens can be of great help. 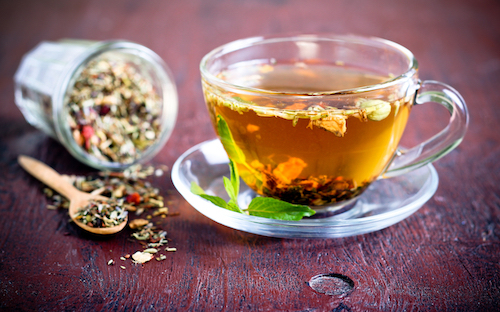 Adaptogens help the body to “adapt” to stressors therefore restoring balance. Every adaptogen has its own personality as I like to say, for instances Ashwagandha has a calming and “grounding” effect while Rhodiola has a more uplifting and stimulating nature. Optimal results are usually achieved when combining different adaptogens that best suit your symptoms. Before taking an adaptogen, or any herb you should consult a qualified herbalist or naturopath for professional advice. To book a consultation with Vera, our naturopathic herbalist, click here. 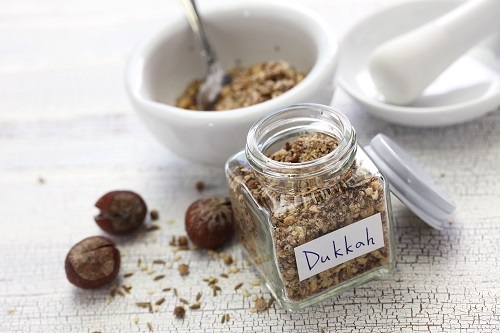 When it comes to calming the nerves and inducing sleep, herbal medicine has plenty to say and offer, and as an herbalist, I often turn to herbs as a resource to support my patients in need of a good night’s sleep. Two of my top sleep herbal picks are Passionflower (or Passiflora incarnata) and Hops (or Humulus lupulus), both of which work by increasing GABA (Gamma-aminobutyric acid) activity, a brain chemical that has a key role in promoting sleep and relaxation. To read more about Passionflower and Hops click here. Clinical trials have shown that magnesium can have an all-around effect on sleep quality, by improving the ability to fall asleep, by increasing the number of sleep hours, and by reducing early morning awaking. For optimal results, it is best taken as a supplement before bedtime in the form of magnesium bisglycinate (also known as magnesium glycinate, diglycinate or chelate). Taking magnesium in this form ensures optimal absorption and a calming effect, without the laxative side effects that some forms of magnesium have. Magnesium can also be applied topically (as magnesium chloride), which is a great choice for people with malabsorption issues. Avoid foods containing a substance called tyramine, particularly in the evening, as this causes the release of norepinephrine, a brain stimulant. Foods with high content of tyramine include aged cheeses, red wine, some beers, cured meats, and smoked fish. Choose foods rich in L-tryptophan, an essential amino acid, which increases production of serotonin, one of the most important brain chemicals regulating the sleep/wake cycle. Foods rich in L-tryptophan include free-range organic eggs, organic dairy products, organic free-range poultry, wild salmon, oats, brown rice, quinoa, legumes, pumpkin seeds, and bananas. Try limiting your alcohol intake, particularly in the evenings. Too much alcohol can have a detrimental effect on sleep quality as it reduces REM sleep (the restorative part of the sleep cycle) and can interrupt the circadian rhythm, a study has shown. Caffeine, present in coffee, green tea, and black tea, is a stimulant and can stay in your system for several hours. So, if you are experiencing sleep issues and love your 3 cups a day, you may want to think twice and consider reducing, or even removing caffeine completely, for a while and assess the results. Also, avoid caffeine-containing drinks first thing in the morning on an empty stomach as well as in the evening. Getting your daily boost of sunshine is the way forward to better sleep. This is because we need sunlight to keep our circadian rhythm going, which tells our bodies when it is time to sleep and to be awake. 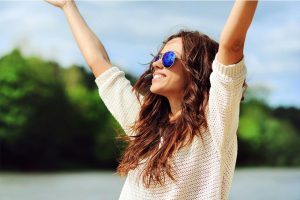 Sunlight also plays a role in Vitamin D production, which is essential for so many aspects of our health. The early-morning sunlight is the best at setting the circadian rhythm correctly. Go for a walk first thing in the morning (10 minutes is enough to do the trick) or walk/cycle to work if possible. And since living a busy life in the city can make the morning trick difficult to achieve, just get outside whenever you can during the day, being your lunch-break or even a 10-minute break for a walk. Regular moderate exercise is an excellent way to support good sleep. From swimming, running, aerobic classes, dancing classes, the choices are endless. Get out there and check what works better for you. Even a 30-minute brisk walk can do the trick for some people, particularly if you need to take it easy and opt for a gentler form of exercise. For a more mind and body kind of exercise, which will also work on your flexibility and balance, why not trying Pilates or Yoga? Learning how to breathe can have a profound effect on the nervous system helping you to achieve a relaxed and clear state of mind. There are great tools out there to help you learn how to be the master of your breath, such as Chi Kung (a Chinese ancient form of exercise which coordinates body movement with breathing) and Pranayama (an Ayurvedic practice of controlling the breath). 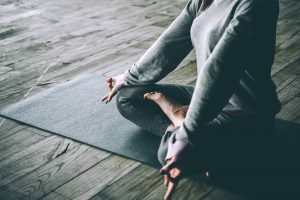 Practicing yoga regularly is another way of training and connecting with your breath, and Yin Yoga in particular can do wonders to a busy racing mind. If you are the “tired but wired” type, try a Yin Yoga class in the evening and you will be set for a good night sleep in no time. Create a calm atmosphere, where your bedroom should be used for sleep or calm activities only. Turn off your screens (including TV, computer, iPad, and mobile phone) at least 1 hour before bedtime as the blue light they emit can decrease melatonin production affecting sleep. You can instead adopt relaxing practices in preparation for bedtime such as reading your favourite book, listening to calm music, or doing a 10-minute meditation (there are some great applications such as Headspace and Calm which can help you with setting up a meditation routine). Going to bed and waking up at the same time every day is another great way to help regulating your circadian rhythm. Abbasi, B., Kimiagar, M., Sadeghniiat, K., Shirazi, M. M., Hedayati, M., & Rashidkhani, B. (2012). The effect of magnesium supplementation on primary insomnia in elderly: A double-blind placebo-controlled clinical trial. Journal of Research in Medical Sciences : The Official Journal of Isfahan University of Medical Sciences. Boubekri, M., Cheung, I. N., Reid, K. J., Wang, C. H., & Zee, P. C. (2014). Impact of windows and daylight exposure on overall health and sleep quality of office workers: A case-control pilot study. Journal of Clinical Sleep Medicine. Investigation of Food Specific Immunoglobulin G Antibodies in Patients with Inflammatory Bowel Diseases. PLoS One. Drake, C., Roehrs, T., Shambroom, J., & Roth, T. (2013). Caffeine effects on sleep taken 0, 3, or 6 hours before going to bed. Journal of Clinical Sleep Medicine. Düzgün, G., & Durmaz Akyol, A. (2017). Effect of Natural Sunlight on Sleep Problems and Sleep Quality of the Elderly Staying in the Nursing Home. Holistic Nursing Practice. Ebrahim I., Shapiro C., Williams A., Fenwick P. (2013). Alcohol and sleep I: effects on normal sleep. Alcohol Clin Exp Res. Fang, R., & Li, X. (2015). A regular yoga intervention for staff nurse sleep quality and work stress: a randomised controlled trial. Journal of Clinical Nursing. Hornyak, M., Voderholzer, U., Hohagen, F., Berger, M., & Riemann, D. (1998). Magnesium therapy for periodic leg movements-related insomnia and restless legs syndrome: An open pilot study. Sleep. Krueger, J. M. (2008). The role of cytokines in sleep regulation. Current Pharmaceutical Design. Panossian, A. & Wikman, G. (2009). Evidence-based efficacy of adaptogens in fatigue, and molecular mechanisms related to their stress-protective activity. Current clinical pharmacology. activating factor (PAF) could both be markers of non-IgE-mediated reactions. Clin. Transl. Allergy. Stansbury, J., Saunders, P., & Winston, D. (2012). Supporting Adrenal Function with Adaptogenic Herbs. Journal of Restorative Medicine.